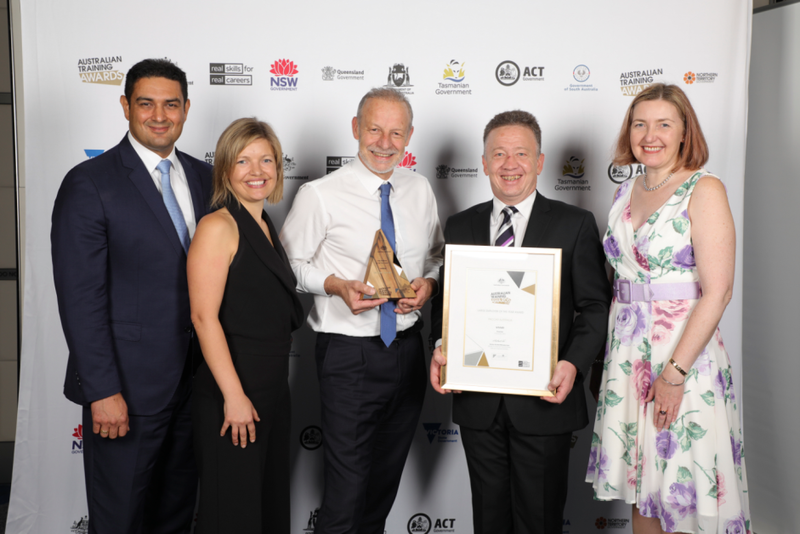 At the recent Australian Training Awards at the Sydney International Convention Centre PACCAR Australia was recognised as the Large Employer of the Year for 2018. In accepting the award at the event Andrew Hadjikakou, Managing Director PACCAR Australia acknowledged the employees and the company for their collective commitment to learning and development. “This award is for our employees, whose skills and passion for PACCAR products is the reason our customers receive the best we can produce. It’s their commitment to safety, quality and continuous learning that drives what they do and I am proud to say Kenworth trucks are Australian Made, World’s Best. “The honour of this is in the public acknowledgement of the work PACCAR Australia has done to deliver an exceptional standard of training for our employees and specifically acknowledges the investment made by the company in recent years in Vocational Education and Training of its employees, suppliers and dealer network. “In order to provide the highest quality product to our valued customers, we need the best people. To attract highly talented people, among a range of things we offer them the requisite tools and importantly the training and development to not only do their current role but to grow and progress in the company,” he added. Certificate III Automotive Mechanical Technician in partnership with Kangan Institute. This latest award continues an admirable record for PACCAR Australia, which earlier this year won the Victorian Manufacturing Award for Workforce Development. The company has twice before won the Victorian State Government’s Employer of the Year (WPC category) Training Awards, and the Federal Government’s Industry Training Award for Manufacturing, in 2012 and 2007, as well as AHRI Awards for Talent Development and Management in 2017 and 2014.